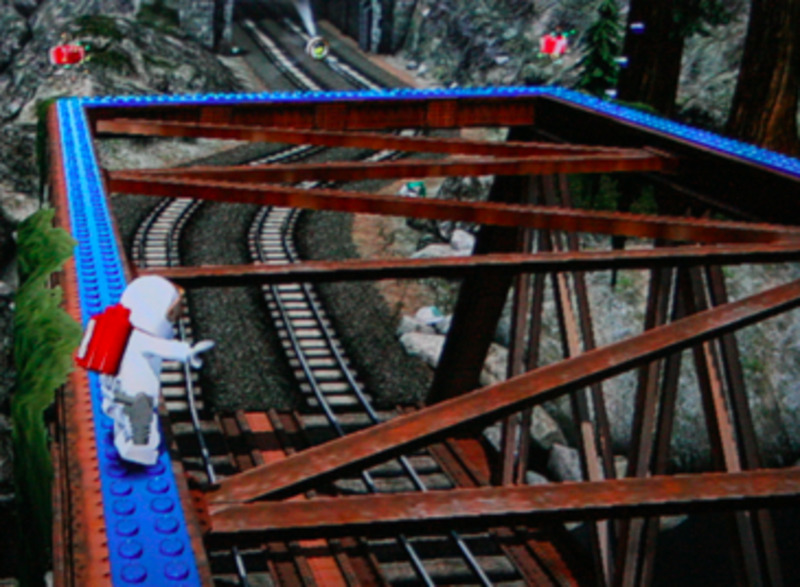 Modern life wouldn't get far without an ATM machine or two, and LEGO City has a ton of the things sitting around. What more tempting target could there be for the Robbers of the city than these vulnerable cash kiosks? Pull out your Robber outfit, Chase, and get to work! 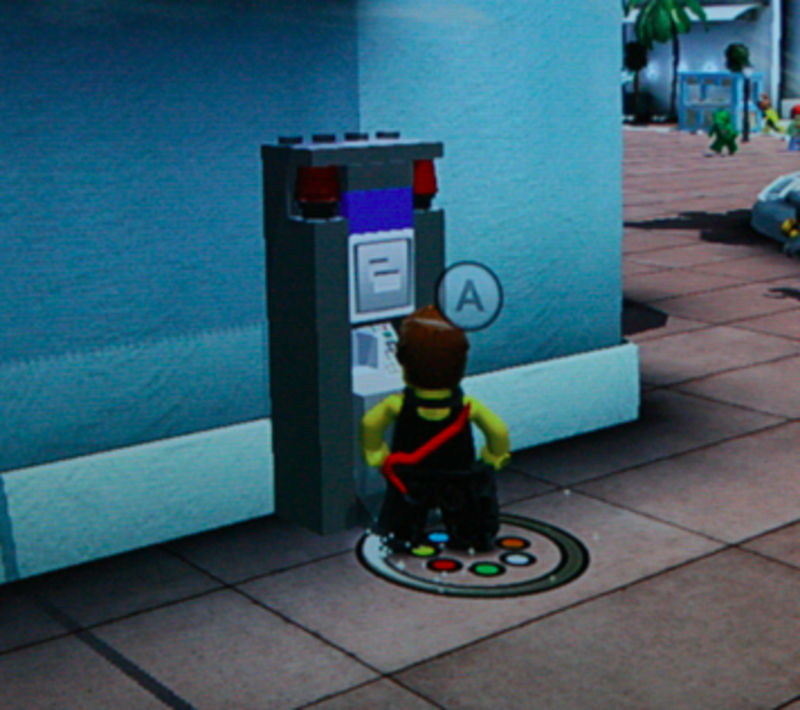 This article covers the locations of each of the ATMs in LEGO City Undercover that you're meant to destroy in your Robber outfit. 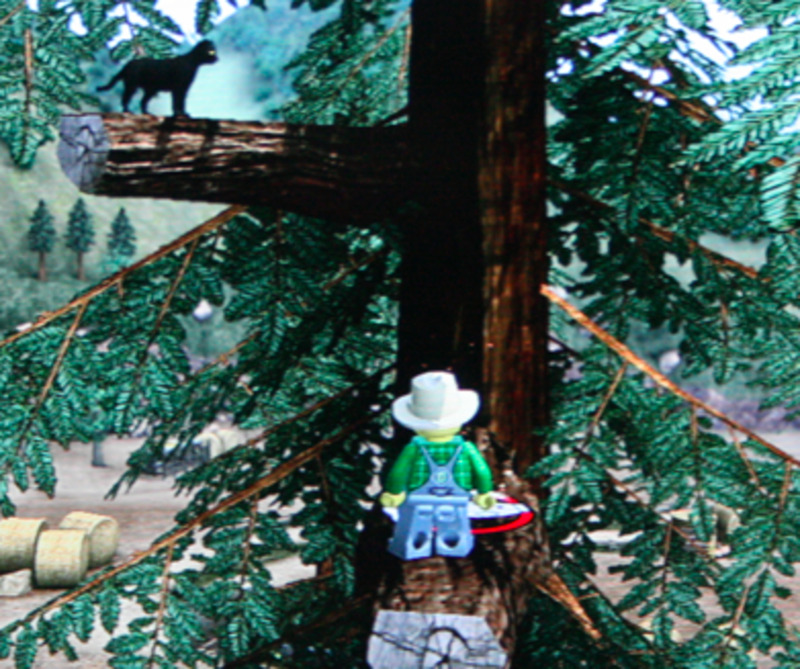 Each one will earn you a Gold Brick, and getting all of them will win you a special prize. Ooo. 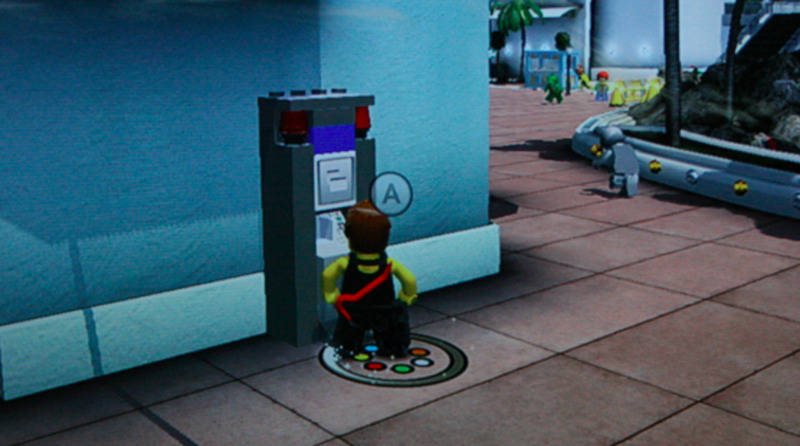 The first ATM in LEGO City Undercover is right across the street from the Police Station in Cherry Tree Hills. Look for the shop with the, uh, SHOP sign on the front. Auburn's Train Station is inside a small tunnel at the base of the Auburn Bay Bridge. Inside this Station, along the tracks, is Auburn's ATM. The first place you'll visit when you reach Fort Meadows is a Gas Station. Off to the side of the Gas Station is a row of vending machines. The ATM sits with them. Bluebell's Police Station is a rather boring little spot in the middle of the woods - but it's at least interesting enough to merit an ATM. It's sitting at the side of the Station. There's a large building with a ton of collectibles across from the line of storefronts along the inner edge of Festival Square. At the base of this building is the ATM. Not far from the Pagoda border, in the aforementioned line of stores, is a gym. There's an ATM sitting out front. On the inner edge of Pagoda, as usual with the metropolitan districts, is a long line of storefronts. One of them, a bank, has an ATM out front. There's a huge mall in the middle of Bright Lights Plaza. Check the left side of this mall (coming from Pagoda, that is) to find the ATM. Near Ellie's building in the north of Bright Lights Plaza is a small line of stores. Amid them is a bank. This, naturally, has an ATM out front. 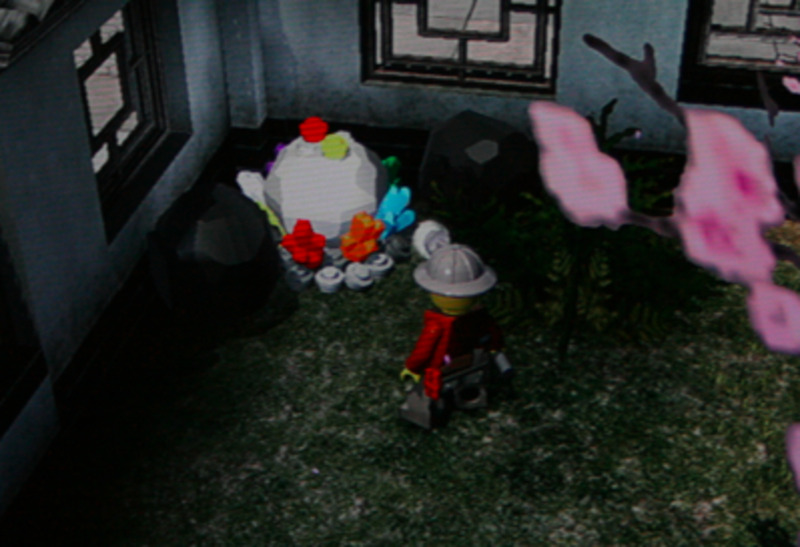 There's a nice little tea house in the southern half of Crescent Park with several collectibles of note. One of them is an ATM. 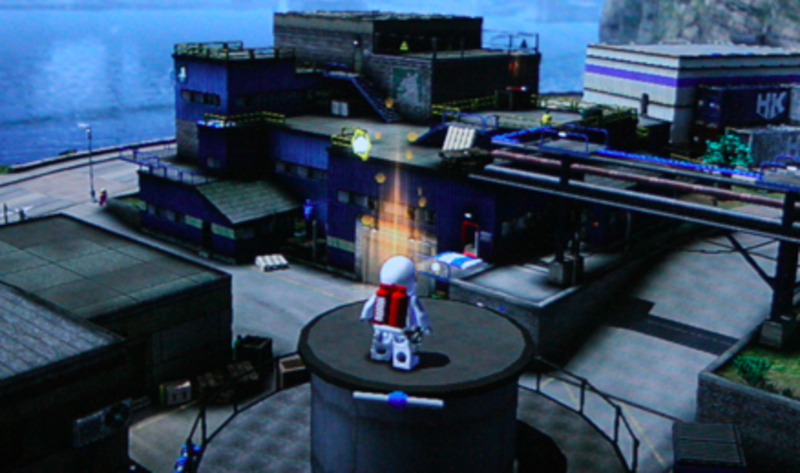 There's a line of buildings along the northern border between Uptown and the LEGO City Airport. The ATM is among these buildings. There's plenty of stuff to see around the Airport terminal. One of the easiest to find is the ATM, which waits for customers out front of the terminal. Fresco's rear line of buildings eventually narrows into an alley as you get closer to Paradise Sands. At the mouth of this alley, sitting in the shadow of a building, is the ATM. 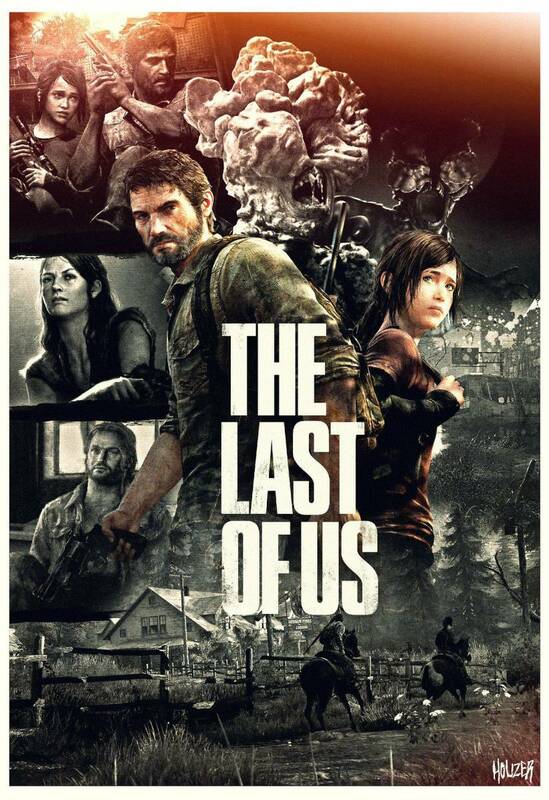 Remember that awesome party you got rocking early in the game? 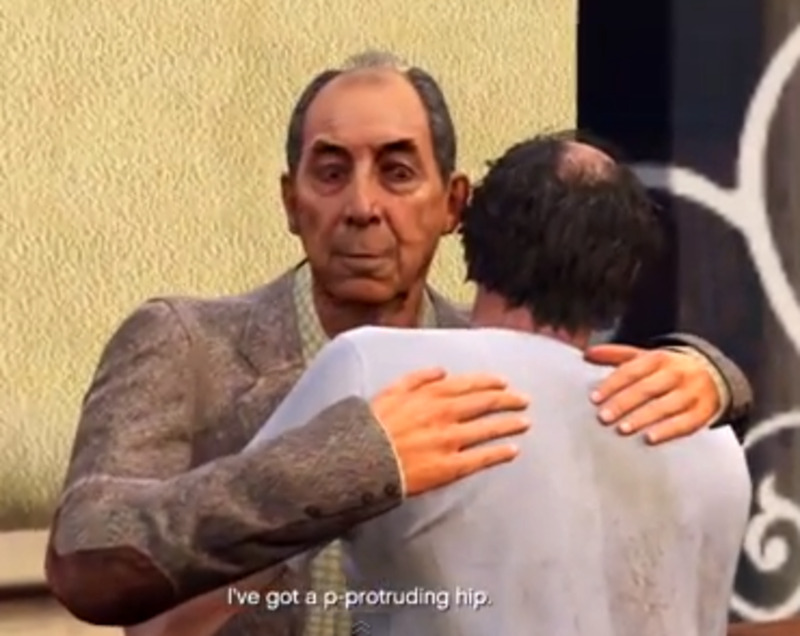 You know, the one you used as a ruse to steal a car? The ATM for Paradise Sands sits beside the building that once housed the car. Kings Court's inner line of buildings counts a theatre among its ranks. The ATM is on the opposite side of the street near here. Near the border with Kings Court is a small cluster of buildings surrounding a circular statue. One of the buildings in this small area as an ATM against once of its walls. As with most things on Lady Liberty Island, finding this ATM is a piece of cake. It's set against a small booth across from the pier with the ferry. 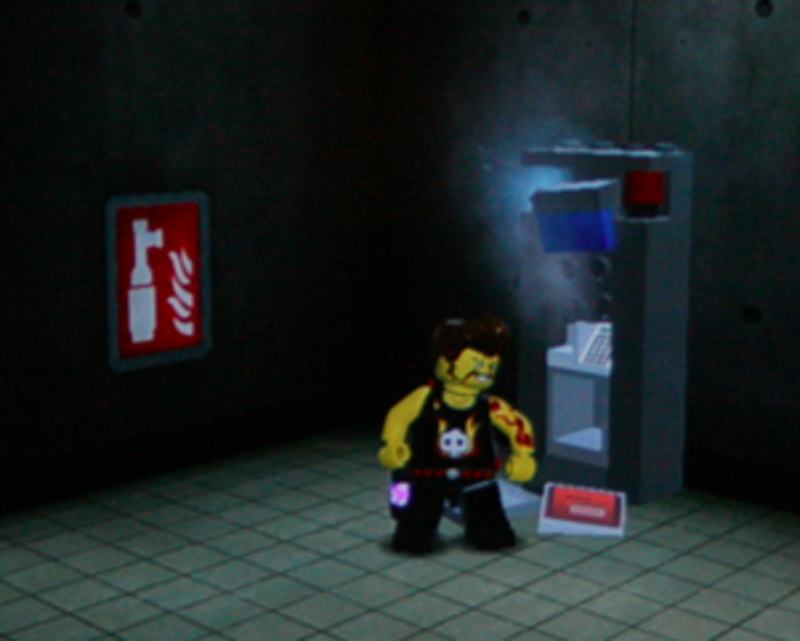 Have you managed to trash all of the ATMs? 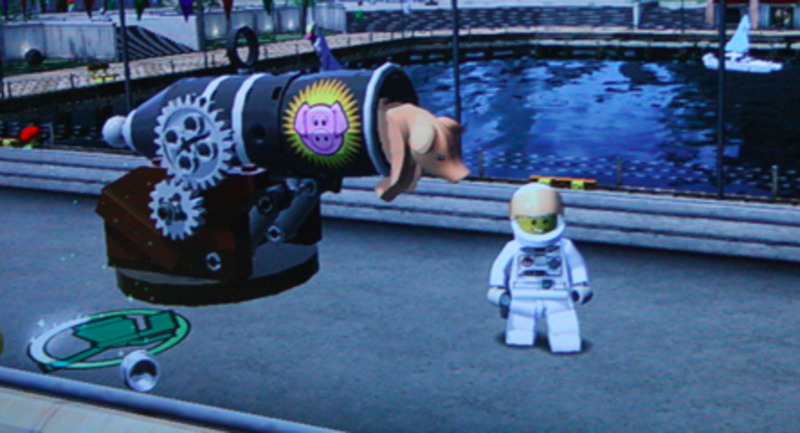 As well as hopelessly inconveniencing everyone in LEGO City, you'll earn the Bandit collectible. Yay!